This building is due to open on May 28th. The art museum building is part of the redevelopment of the historic Bolshevik Factory on Leningradsky Prospekt, Moscow, report the architects. 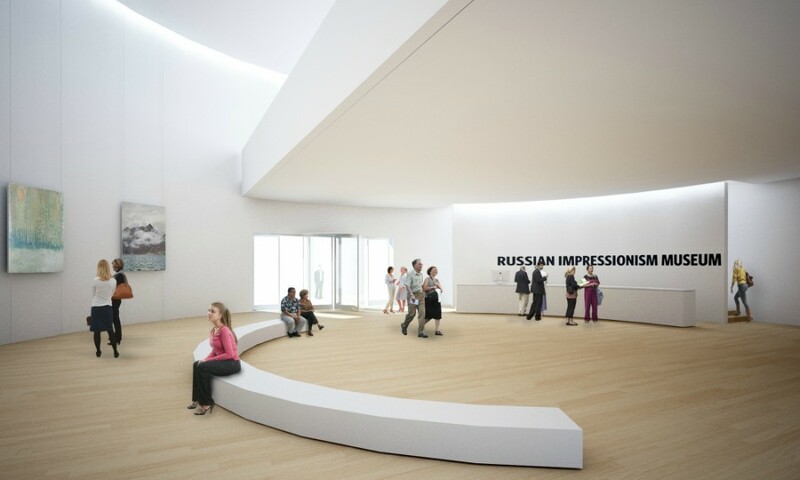 The building will display examples of Russian Impressionist art, temporary exhibitions, lectures, concerts and multi-media presentations. 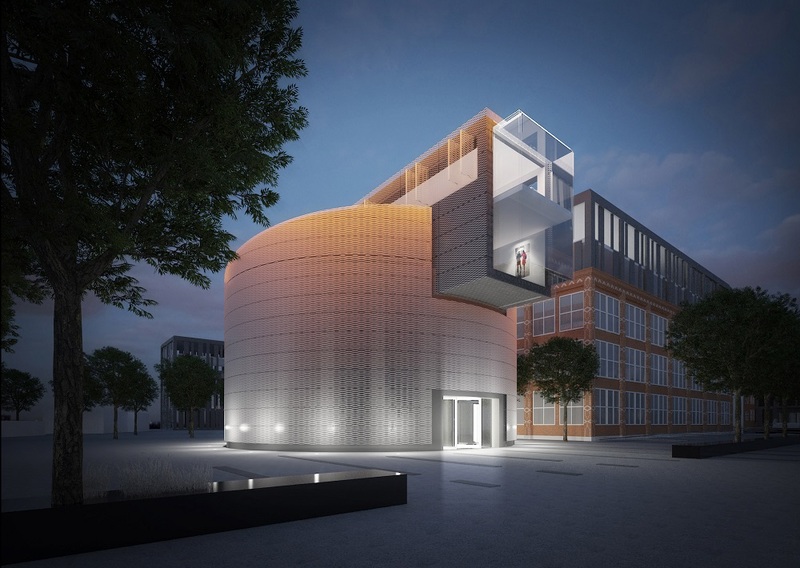 Clad in perforated metal sheeting as a reference to the site’s industrial past, the circular volume provides a sequence of radial exhibition spaces as well as delivery, storage and conservation areas. 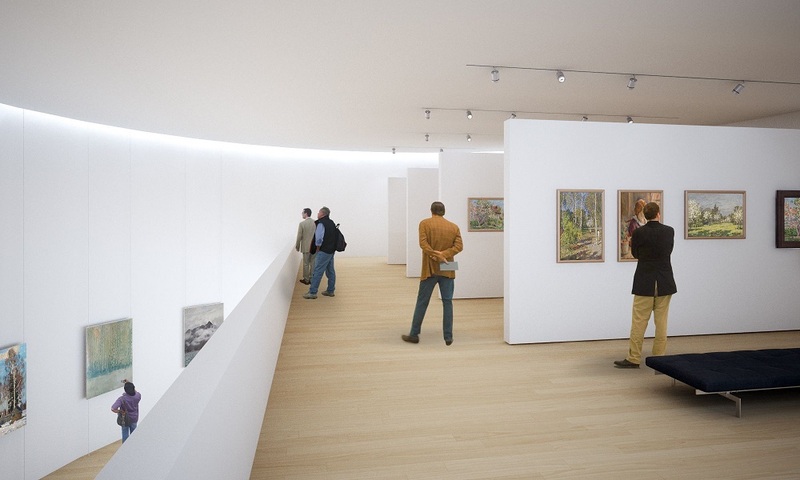 The Museum will comply with the latest security and environmental audits, hosting art from national and international collections. The museum is part of the Bolshevik business and entertainment centre, housed in a historic Moscow chocolate factory. The programme includes over 1000 sqm of exhibition halls and a cinema, modern multimedia zone, educational facilities for children, café, book and souvenir store. The permanent exposition will be based on the masterpieces of notable Russian artists from the personal collection of its founder Boris Mints. 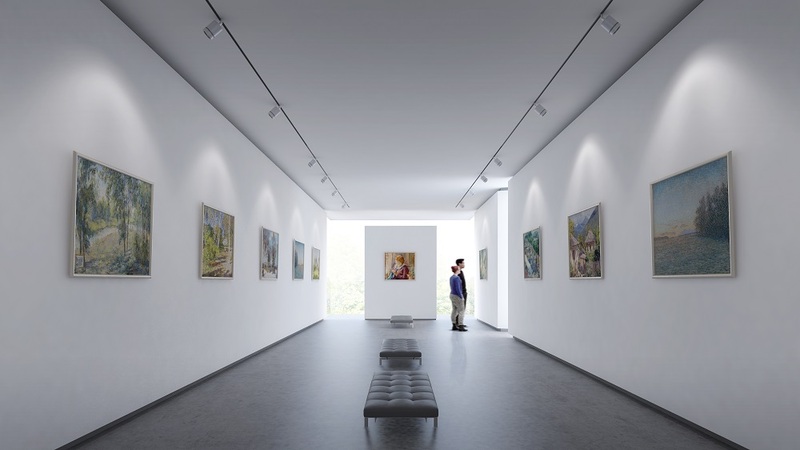 It consists of over seventy artworks from Russian artists such as Konstantin Korovin, Igor Grabar, Konstantin Yuon, Yuri Pimenov and Petr Konchalovskiy. 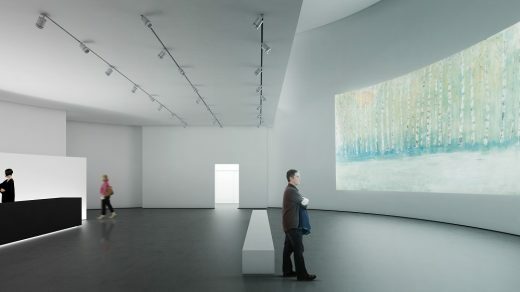 Lordculture (Lord Cultural Resources), Paris, France – an international cultural consulting agency that had previously worked with the Pushkin Museum of Fine Arts (Moscow), Musée du quai Branly (Paris) and BMW Museum (Munich) – assisted with the creative concept of the new museum. The first phase of this development, commissioned by 0.1 Properties and the Tactics Group, will deliver 50,000sqm of office space by September 2013.